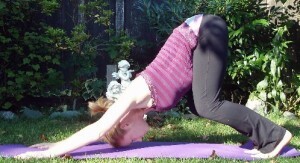 This entry was posted in Forward Bend, Pose and tagged down-dog by Barbie. Bookmark the permalink. Love the photos of the poses and the superimposed muscular drawing on the hamstrings article. Definitely will help us in working on improving our yoga poses.